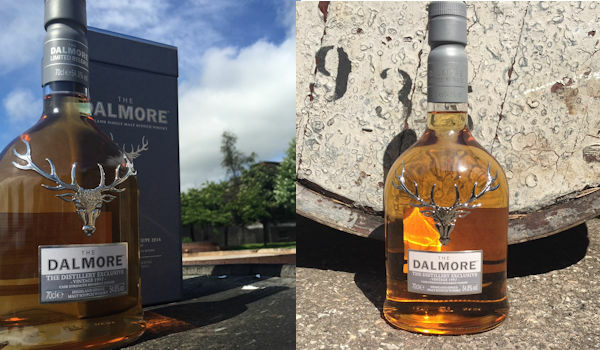 Exclusive Single Malt Whisky makers, The Dalmore have released a limited edition bottling “The Dalmore Distillery Exclusive Vintage 1997” which will be sold exclusively at the brands iconic distillery in the Scottish Highlands. Founded in 1839, The Dalmore distillery has defined the luxury single malt whisky category through its unbroken chain of exceptional whisky creators who have pioneered the art of maturation and cask finishing. The current custodian, Master Distiller Richard Paterson, has been at the helm of the distillery for almost 50 years and he is the creative force behind some of the most iconic and innovative releases in the world. For this exclusive, Richard has chosen to showcase the influence of American White Oak on the spirit by hand selecting three different types of Bourbon barrels in which to mature this whisky. This elegant whisky, was initially matured in second fill Bourbon barrels, then transferred into specially selected aged Bourbon barrels before a final flourish in ‘Small Batch’ aged Bourbon barrels. Richard Paterson, Master Distiller commented: ‘The Dalmore is well known for its sherry finishes and we are proud to have had a relationship with the world renowned Gonzalez Byass bodega for over 100 years. However, for this release I had the vision to create something a little different. I wanted to shine a light on the style of casks I use for nearly all of the initial maturation at The Dalmore, American White Oak Bourbon casks. Only 450 bottles have been made available, each individually numbered, priced at £200.The Dalmore Distillery Exclusive Vintage 1997 (58.4% ABV) is available from The Dalmore Distillery at Alness, Ross-shire, Scotland, IV17 0UT.